For the past several years, no other poker site exuded the strong responses at the mere utterance of their name than Ultimate Bet. 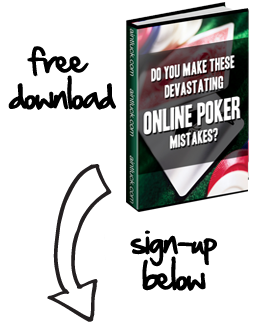 Marred by the worst cheating scandal in online poker history, players from all over the world generally have some kind of wisecrack armed and ready when the topic shifts to the site. For example, upon learning that one of their own, Joe Sebok had agreed to sign up to be one of Ultimate Bet’s sponsored pros, the on-air staff of Pokerroad.com, had a field day making all the required jokes. Co-host, Court Harrington, when reporting the signing speculated, on air, that completion of the deal hinged on how many players’ holecards Sebok would have access to. Sebok took it all in stride, maintaining that he expected that sort of response but was confident that Ultimate Bet’s checkered past was indeed behind them and he was excited at being a part of their new start. In what is perhaps their biggest symbolic change, last week Ultimate Bet announced that they had officially rebranded themselves as UB.com, a move that symbolizes their distancing themselves from past problems. Armed with a new slogan, “Raise, Stack, Own”, UB.com is excited about what the future holds. They already possess some very well-known players in their stable such as Phil Hellmuth and Annie Duke, they believe the signing of Sebok and the rebranding puts them in a more media-friendly environment going forward. The naysayers will still abound and only time will tell if the name switch really does signify a new beginning, or will merely serve as a smoke screen to mask some of the past crimes.